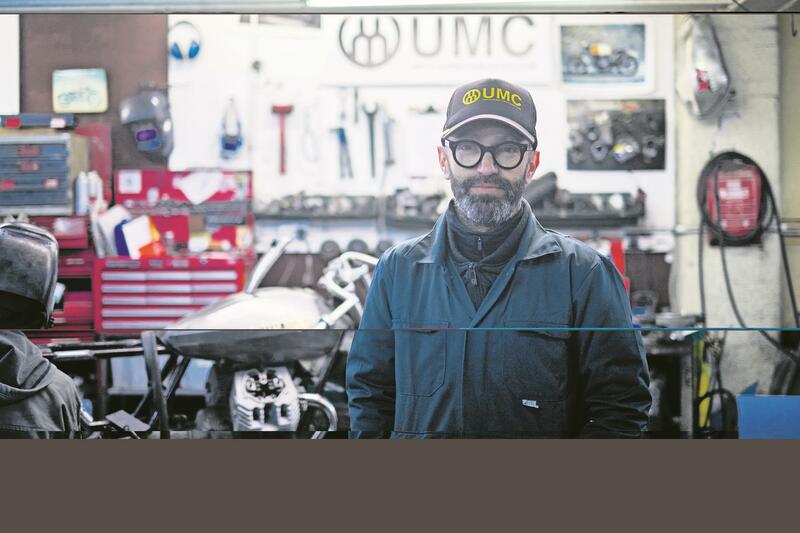 The man credited with kickstarting the café racer movement in the UK, Adam Kay, reveals all in MCN's 20 question interview. 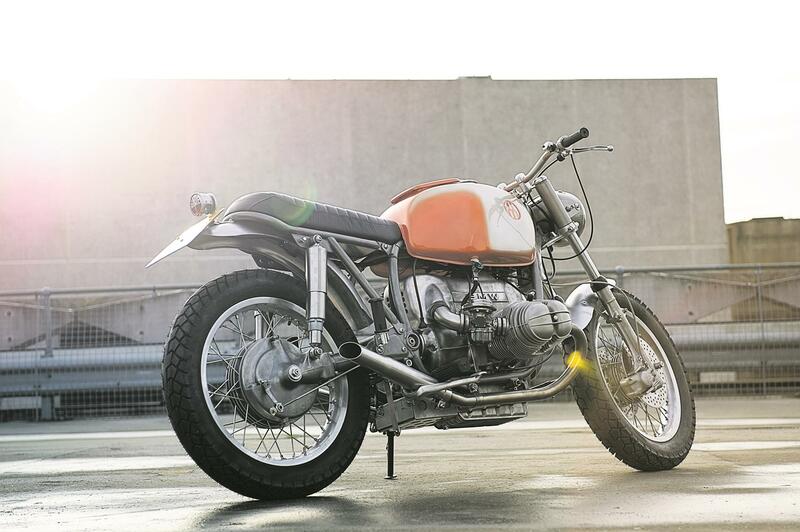 I’m still riding my BMW R80 from 1979, which was the first bike I ever cus- tomised. I bought it from Rex [Adam’s business partner] and he didn’t tell me at the time he’d swapped the front end after a crash. He wrecked it after coming off on a diesel spill, got it back to the garage and swapped the whole front end overnight as he was off on a tour around France the next day. It’s been in three incarnations since, including one with high pipes that I rode to Wheels & Waves. It was so hot it was insane, I kept burning my legs. I’ve also got a Honda Cub but it’s so slow. John Surtees because he won world championships in cars and on bikes. I look in cars far too much to see if people are on their mobile phones, so I end up not looking at the road to see if other people aren’t looking at the road. I’ve had major arguments with people – I had one guy get right up in my face, so I’ve toned it down a bit now. Q4. If you could have one super riding skill what would it be? My riding is average so just being able to take corners a little bit faster and a bit safer would be great. Although, one skill I would love would be to diagnose an engine just from listening to it. I went over 100mph on an old Monster I had and that was enough for me. Because I ride around London a lot, sometimes it can just be quite mundane things that are scary. There’s a really bad junction near my house that I’ve had loads of near misses. I’ve had a few heart-in-mouth moments on twisty roads where my skill hasn’t been as good as my brain wants it to be. I actually worked this out the other day. Just over 3000 I think. Q8. What’s the highest mileage you’ve covered in one day? I’ve never done anything mad. Q9. What irritates you most when you are out riding? Drivers using mobile phones. Q10. You’ve got two weeks off - where are you going? I’d ride around the Alps: France, Italy and Switzerland. Then I’d head down through the Pyrenees to the coast of Portugal. Just take it easy, you’ll get there in the end, so don’t bother rushing. Q12. Ever fallen off somewhere embarrassing? Yes. I dropped my Guzzi V11 Sport doing a U-turn outside my house while my wife was watching. My friend Ludovic who bought our first bike, Hugo who runs Untitled San Francisco, my friend David and Rex as he’s a mechanic who could help us – although I broke down once and he abandoned me. Q15. Do you have a tool you couldn’t live without? Vernier calipers. Never, I’m just not a good enough rider to notice. Q17. If you could have just one of your old bikes back, which would it be? You can make anything good. Q19. Which road (or track) would you build on your desert island? The Route Napoleon – it’s about 60 miles long in the Alps and there are no turnings off it. I’d stop mobile phones from working inside cars except in an emergency.